For many small and mid-market B2B organizations, social media is still a bit of a mystery. Many believe their customers do not make buying decisions based on what they read on social media. Others think their products are not interesting enough to attract an audience on social media. Additionally, if you’re implementing an inbound marketing program, social media is a critical component. It helps you promote the content you create to your buyer personas. Sounds like it might be worth considering, doesn’t it? If you’re ready to take the plunge, you’ll need to learn some basics. One of the most basic concepts used in social media is the hashtag. Even if you haven’t engaged yet, I’m sure you have heard of the hashtag. As the story goes, hashtags were first proposed by developer Chris Messina in 2007. He suggested, in a tweet, that Twitter start grouping topics by hash symbol. The idea was not immediately popular. But in October 2007, at Messina’s suggestion, people started using the hashtag #SanDiegoFire to tweet updates on a series of fires near San Diego. And so, the hashtag was born and has continued to grow. When used properly, hashtags can increase user engagement by 2X. The easiest way to grow your social media audience is by using hashtags. Someone may not be following you but they may be searching for a topic or keyword related to the products and services you offer. If they see that you have tweeted or posted often about their topic, it is likely that they will follow you. The act of creating a hashtag is easy. Simply add “#” in front of word or phrase without spaces or punctuation. Numbers are allowed as part of the phrase but cannot comprise the entire hashtag. For example, at Imagine we write a lot about sales and marketing related topics like prospecting, sales growth and lead generation. One of the hashtags we use is #leadgeneration. Camel case is acceptable and can make your hashtags easier to read, i.e. #LeadGeneration. Use your buyer personas and keywords to help you identify words and phrases that resonate with your target audience. Using a random hashtag or one that is trending but has nothing do with your products or services will not be effective. Before you throw a “#” in front of a word or phrase, it is a good idea to do a little research and find out how that hashtag is being used. There are several tools available to help you identify a hashtag and the context it has been used in. Hashtagify.me, hashtags.org and RiteTag.com are all great places to start. When creating or deciding on a hashtag, remember to keep them simple. Be specific and use as few words as possible. Really long hashtags will confuse your audience. Choose words or short phrases that are easy to spell and more importantly, easy to remember. If you want your audience to engage with your hashtag, make sure it is relevant, specific and memorable. As a general rule, do not use more than three hashtags in any one post. Also try to use them as part of a sentence instead of as an add-on at the end of your post. For Twitter, keep your entire post to less than 120 characters so it is easier for your audience to retweet your post and hashtag. Can they be used on every social media platform? While Twitter created the hashtag, other social media platforms are also using them. The only major B2B social media platform that doesn’t support hashtags is LinkedIn. Here’s a brief overview of how to use hashtags on other platforms. Facebook – There are mixed reviews about hashtags and Facebook. Hashtags are supported and if you click on one, it will bring you to a list of posts that used the same hashtag. Since Facebook primarily connects users to their friends, many social media B2B marketing experts recommend not using hashtags. If you feel your business should use them, by all means give it a try. Google+ - Google+ does support hashtags but will also assign one based on the text in your post. So using hashtags is really not necessary. Instagram – Earlier in this post, I gave a general rule for the number of hashtags to use in any given post. With Instagram, it is the opposite. The more hashtags you use, the better. Pinterest – Pinerest supports the use of hashtags but they are only clickable in a Pin description and are not searchable. You can however, search keywords. 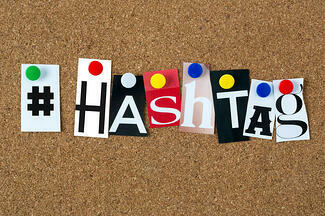 Hashtags are an important element of social media. They make it easier for users – our customers and prospects – to find content that is relevant to them and in turn, easier to find us.